Almost 80% of leading electronics recycling companies in Europe have reported serious fires at their facilities, according to the European Electronics Recyclers Association (EERA). EERA recently conducted a survey among its members to gather data regarding e-scrap fires and says: ‘the results were quite frightening’. Association members include the largest electronics recyclers in Europe who jointly process over two million tonnes of e-scrap per year. In almost 60% of cases reported by EERA members, fire broke out during the unloading and storage of waste electronic devices. A third of incidents occurred during treatment, while 11% took place during transportation. Most fires required the intervention of external fire-fighting services. ‘Of the 80% of members who experienced big fires, only a third considered these incidents to be minor. A total of 61% of the fires were classified as “serious” or “very serious”,’ the survey reveals. EERA notes that fires blamed on lithium-ion batteries have a significant impact on the economics of recycling. More than 85% of its members have had to invest in ‘major changes’ to their operations while others plan to do so in the next 12 months. Almost half of these modifications are considered to be large investments. Additionally, procedures and staff training were reviewed and updated. As a result, recyclers hired more people to meet the new safety requirements. Some 79% of respondents complained they were not able to cover these higher costs with increased charges. Indeed, 89% said their customers were not willing to accept the higher costs sparked by battery safety concerns. ‘A staggering 62% of recyclers also stated that their authorities do not understand the difficulties and hazards associated with these high-risk batteries,’ EERA reports. 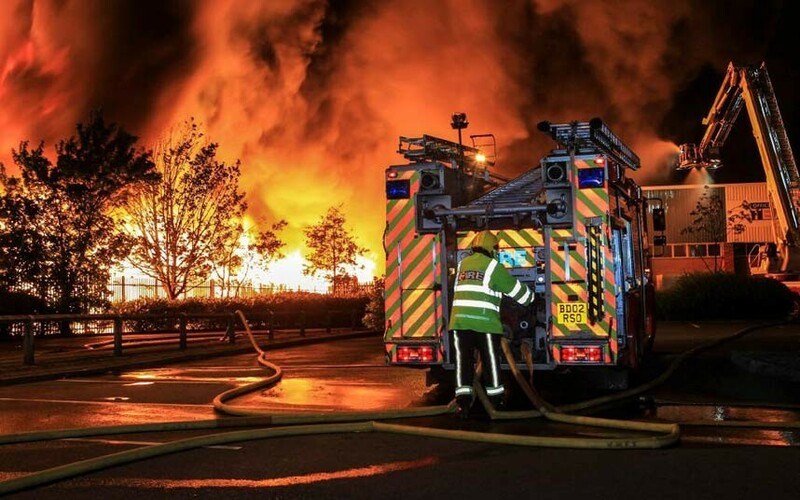 Because most fires start during unloading or storage, the association says this is ‘clear evidence’ that the problems begin with the collection of e-scrap. Although EU-wide legal requirements for the collection and transport of lithium batteries or battery-containing devices are in place, these regulations are ‘widely ignored’, it argues. It cites the “European Agreement Concerning the International Carriage of Dangerous Goods by Road” (ADR) regulations. ‘In some countries, compliance with ADR is only in preparation,’ EERA says. As such, ADR rules are implemented in only half the member states where its members are active. So what do ADR rules state? As an example, they say that devices containing lithium batteries must not by transported in bulk containers. Specifically, e-scrap suspected of having batteries should be stored and carried separately in ‘suitably protective containers’. EERA calls on national authorities, producers, compliance schemes and collection centres to comply with ADR regulations. It also argues that external safety costs should be considered in the negotiations of contracts with compliance schemes and producers. And e-scrap fires should be ‘systematically recorded’. 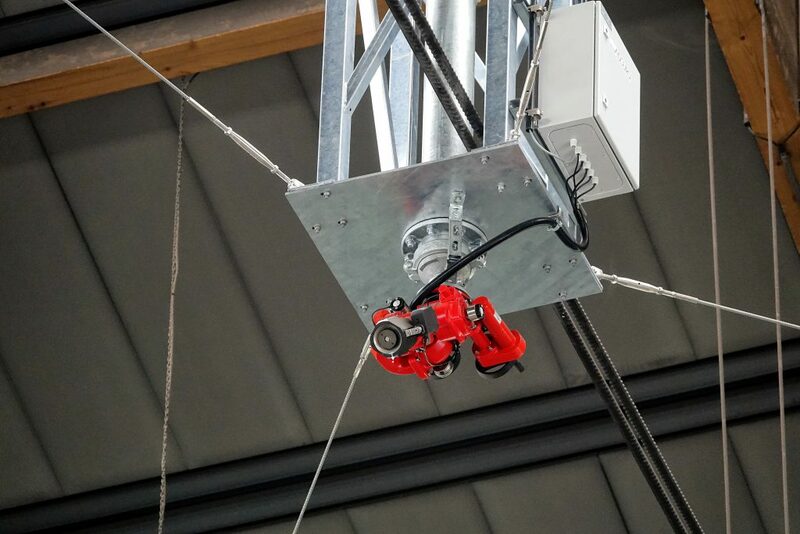 Recently, the Austrian Müller-Guttenbrunn Group successfully tested a new fire-fighting robot at its MGG Metrec plant in Amstetten. This robot was specifically developed to tackle the hazard posed by lithium-ion batteries in e-scrap. ‘Now we have a fire engine hanging from the roof of the hall,’ jokes managing director Michael Grimm. The new system automatically detects when a fire has started and combats it immediately with a water-foam mixture. Grimm says this means the fire can be contained or even extinguished in the first ten minutes, before the fire brigade arrives. Müller-Guttenbrunn has invested EUR 175 000 in the new system.